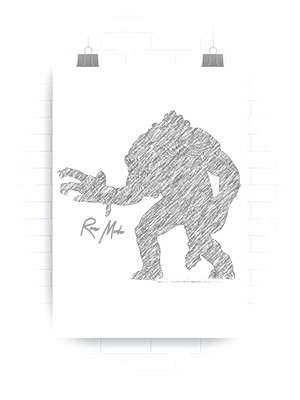 Condition: NM, poster is single-sided, rolled as issued, and is in basically "new" condition. Poster is printed on a heavy paper and the colors are spectacular. 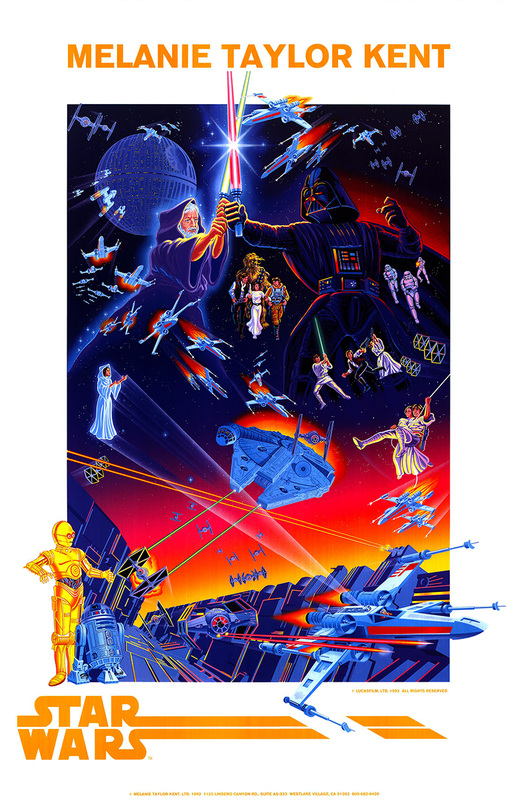 This print is among several posters that were created to celebrate the 15th Anniversary of Star Wars. Please click on the extra large supersize thumbnail image to the right, to see all the small defects. 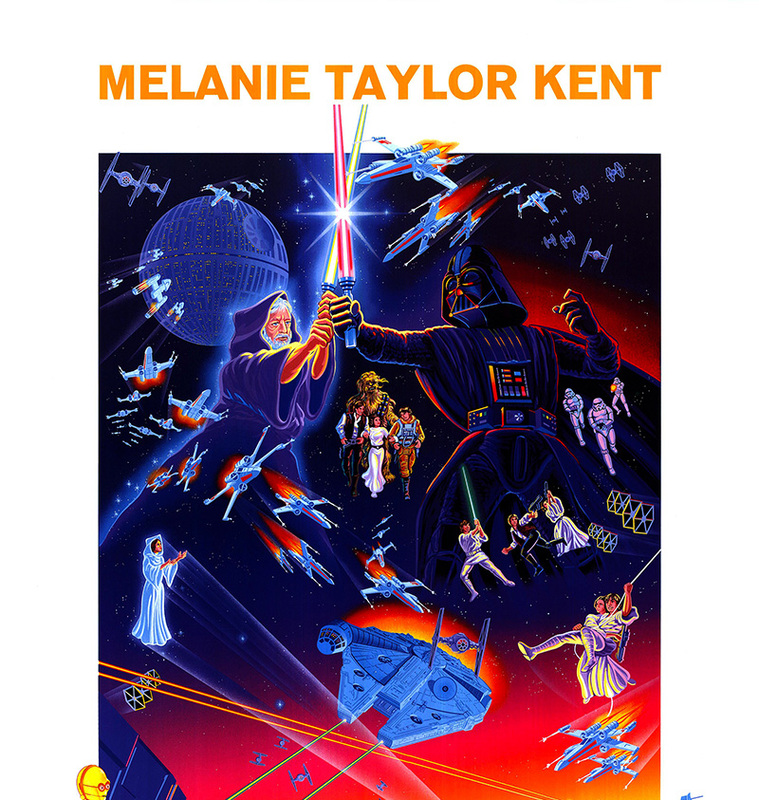 This poster is a print that was created from an original serigraph drawing from artist Melanie Taylor Kent. Her original drawing was from her "Celebrate America" series of serigraphs. It has her name across the top in yellow/gold lettering and the illustration is framed with a wide white border. 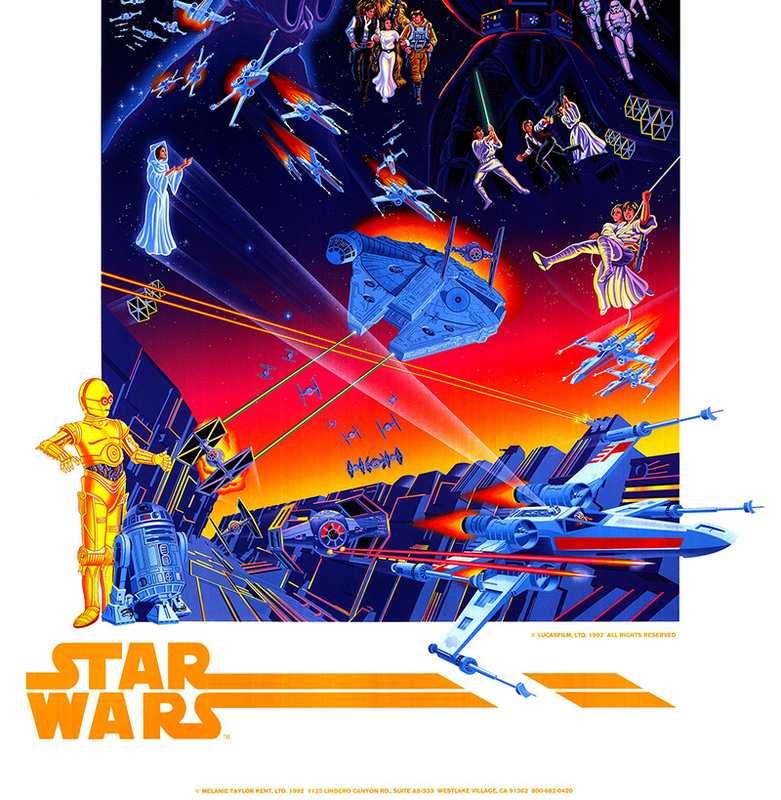 At the bottom in the same yellowish lettering is the Star Wars logo and Lucasfilm copyright information. 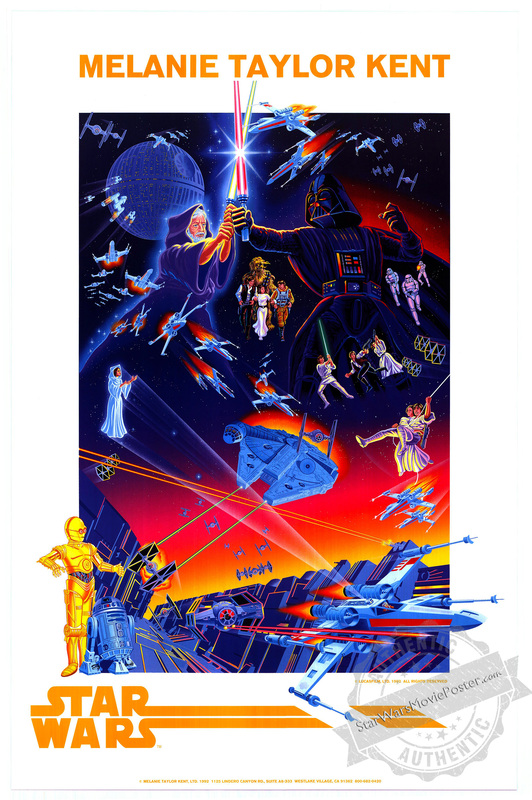 The main artwork has a collage of the films characters and ships all battling each other in action type scenes. The poster is very brilliant and vivid consisting of neon like coloring throughout.